After three teasers -- and a false alarm spec ad that attracted half a million views -- the John Lewis Christmas ad has finally landed. The department store's annual tear-jerkers have become a landmark event in the British cultural calendar, signaling the start of the festive season and reaching a level of advertising hype that surpasses the Super Bowl. 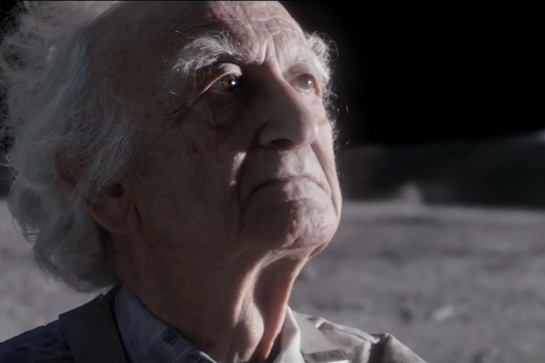 This year, however, John Lewis and its agency Adam & Eve DDB have decided not to make the U.K. cry. They cannily predicted that the nation -- after the shocks of Brexit and Trump -- might need some cheering up. "Buster the Boxer" tells the story of six year-old Bridget, who loves to jump. It's Christmas Eve and Buster, the family dog, watches as Bridget bounces up and down on her bed, hoping that Santa will bring her the present she dreams of. While she sleeps, her father goes into the cold, dark garden to assemble a trampoline ready for Christmas morning. During the night, two foxes, a badger, a squirrel and a hedgehog -- all created in CGI by MPC -- sneak into the garden and bounce exuberantly on the trampoline, while Buster looks on from inside the house, growling and whimpering in frustration and sadness. When Christmas Day dawns, Bridget runs down the stairs and straight out through the back door, beside herself with delight at the sight of the trampoline. But before she reaches it, Buster sweeps past her and leaps onto the trampoline, throwing himself around and bouncing with wild abandon. The family looks on, wide-eyed and dumbstruck, as the line, "Gifts that everyone will love" is written across the screen. Craig Inglis, customer director at John Lewis, said in a statement, "2016 has certainly been quite a year, so we hope our advert will make people smile. It really embraces a sense of fun and magic, reminding everyone how it feels to give the perfect gift at Christmas. " 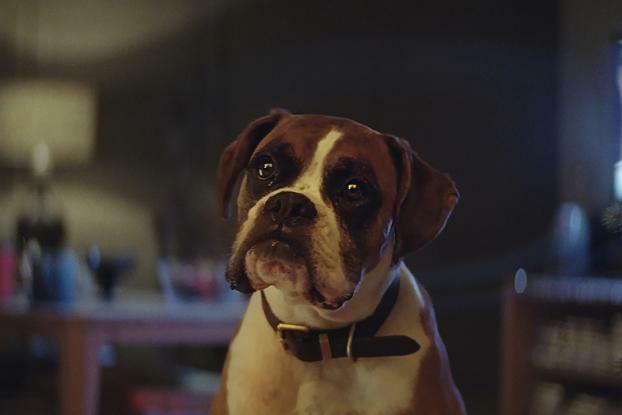 #Bustertheboxer (real name Biff) is already a hot media property and is much in demand, but his owners have chosen not to take him to TV appearances. Instead, Brits can buy a Buster soft toy as well as Sid the squirrel, Otto and Olivia the foxes, Hattie the hedgehog and Betsy the badger. John Lewis customers can also go to the flagship Oxford Street store in central London and bounce virtually with the animals, thanks to a VR studio installed in the children's department. MPC Creative is responsible for the VR experience. Alternatively, a Google Cardboard trampoline experience can be accessed via JohnLewis.com and YouTube, and a Snapchat lens transforms users into Buster himself. The ad sees the return of director Dougal Wilson, who also worked on three previous John Lewis hits: "The Long Wait" in 2011, "The Journey" in 2012 and "Monty's Christmas" in 2014. As always, music plays an essential role in the story. This year the ad's soundtrack is a cover version of Randy Crawford's 1980 hit, "One Day I'll Fly Away," performed by London-based electronic trio, Vaults, and recorded at the famous Abbey Road studios. 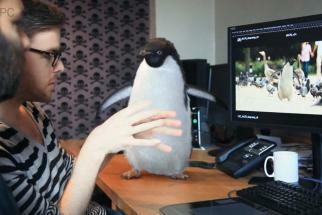 John Lewis has once again partnered up with a charity that matches its creative theme. This year it is The Wildlife Trusts, which will receive a percentage of sales of the soft toys and a "Buster's Christmas" book. "Buster the Boxer" will be available to watch on demand in a partnership with Sky TV, which will also show a "making of" film, as well as some bespoke content about British wildlife. John Lewis last week won the Institute of Practitioners in Advertising's effectiveness grand prix for its Christmas advertising campaign, which between 2011 and 2015 produced an average of $8 profit for every $1 spent, thanks to ads including "The Man on the Moon" and "The Bear and the Hare." 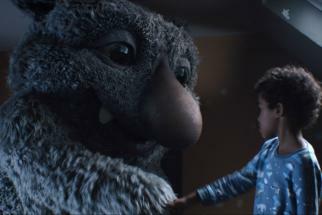 The holiday season is crucial to John Lewis's business, accounting for around 20% of annual sales and 40% of profits.